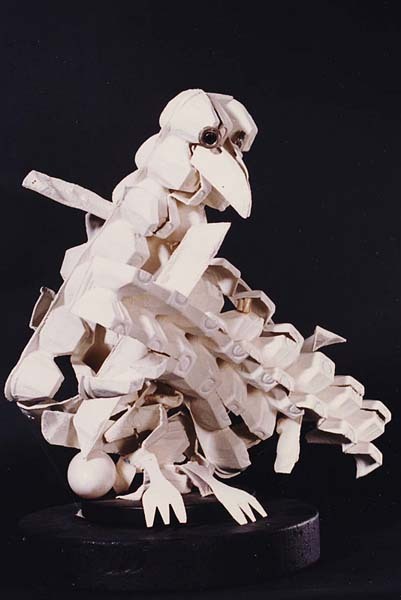 "Chicken" – Egg cartons are exciting shapes Starting with a single egg carton, the artist cut and bent it into an appealing form. Using two of these forms, the artist explored a number of variations. The artist then felt confident enough to explore more complicated "3 part inventions" ( "Chicken" is a fine example ). Similarly, composers such as Bach, created compositions utilizing thematic variation.